Fertilizer labels can be confusing and there are so many choices in the market today. They range from lawn fertilizers, bulb fertilizers, flower fertilizers, garden fertilizers and everything in between. Different plants have different nutritional needs and each soil is different. I would advise you to have your soil tested first, before you buy any fertilizer. This will show you exactly what is in your soil. With that information, you will know what nutrient your soil has too much of or be lacking. Next, you will need to know what plants are going to grow in that location. Do your research, or homework as they say. and you will be successful in your growing endeavors. Apply commercial or organic fertilizers in the springtime before planting. The commercial fertilizers consist of inorganic salts which dissolve easily in the soil. Organic fertilizers decompose into the soil as the season progresses. If you are using manure, incorporate it into the soil as you dig or til for the second time. If you are applying a commercial fertilizer, sprinkle it over the top. Dig or scratch it into the top 3 to 5 inches of top soil. Always read the label directions for the variety you are using. Throughout the growing season, provide light applications of fertilizer to maintain the right balance. All plants remove nutrients from the ground, and some plants do replace some nutrients back into the soil It is important to apply a light fertilizer application through the growing season. This helps the plants grow, flower, and provide fruit or vegetables. Plants need 20 specific nutrients to grow healthy. They receive carbon, oxygen, and hydrogen from the air and water. The other remaining nutrients need to come from the soil. Three of those are vital to the plants growth. You'll find those numbers usually on the front of the bag or box of commercial fertilizers. The numbers always run in this order. Nitrogen, Phosphorous and Potassium. Nitrogen (N) offers the plants nourishment for stem and leaf growth. Helps the plant's leaves and stems to grow rapidly. It utilizes their use of carbohydrates so they will gain energy for this natural process. It will increase the quantity of seed and fruit the plants manufacture. It additionally helps them to form macromolecule to keep them healthy. If you notice the older leaves turning a yellowish-green, the plant's growth is stunted or the stems are spindly, this tells you that your plants need nitrogen. Phosphorous (P) is very important within the way that the plants function and grow. The roots depend on this mineral to develop, grow, and become robust. Phosphorus will facilitate throughout the method of chemical change or photosynthesis. It additionally helps the way plants breath and helps them to grow at a quicker rate. It will increase the formation of fruits, vegetables, flowers, and seeds. If your plant's leaves turn dark, the plant's growth is stunted or the stems are thin and weak, then your plant is telling you it needs more phosphorus. Plants need Potassium (K) during photosynthesis. This mineral helps the plants to convert their food into energy so they can grow and it controls the amount of water the plants' pores absorb. Potassium supports all phases of the plants growing process. It aids the plant to repel pests and diseases. If you plant's older leaves seem burned around the edges, the root system is small and underdeveloped, the plant is signaling that it needs more potassium. In this weakened state, they are more prone to disease and insects. 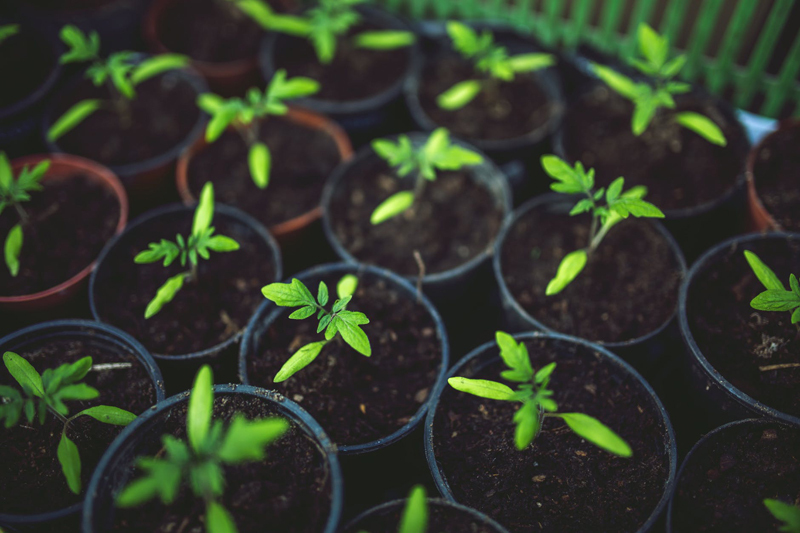 To find out which nutrients are lacking in your soil, you will need to take a sample of your garden soil and send it to the State testing laboratory. When the results come back, you will be able to make informed decisions on how to better the soil.